Today I want to share with you one of two MoYou Nails polishes I was sent for review. I’m a bit sad that MoYou Nails doesn’t actually name their polishes, they just go by shades such as Pink or Light Blue, this is their Blue nail polish. It is a true beauty?! 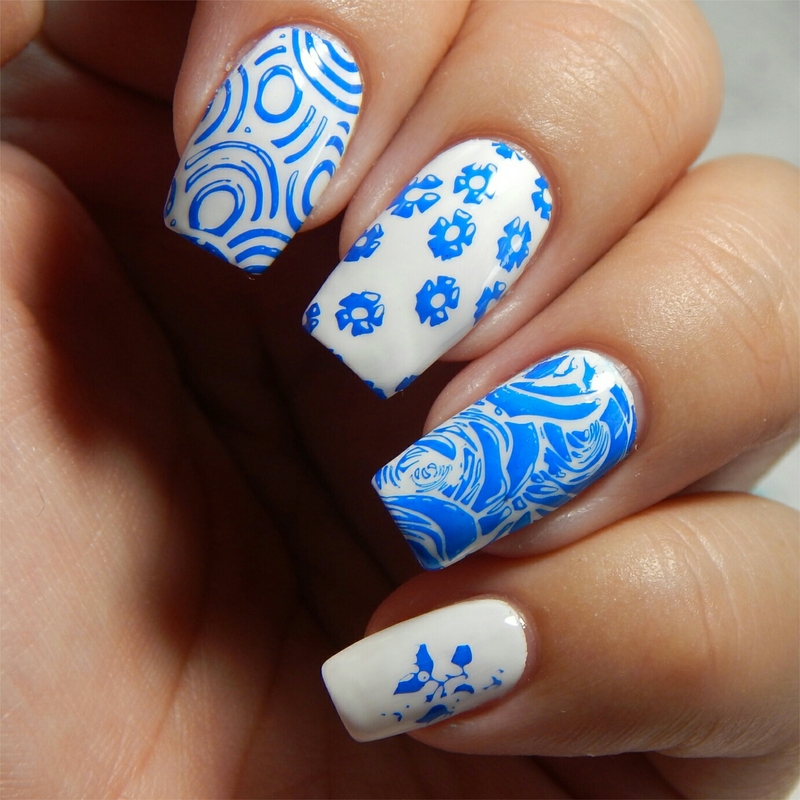 as a blue nail polish lover I’m very happy with it as it is a super flowy one coater, of course amazing for stamping. In the pics you see one coat plus top coat. I really loved the color, only problem is that I can see it staining; so please if you decide to use it on a full nail do double up on your base coat. Thank you so much for reading! let me know what you think of this baby!